Before a break is always a hard time to get students to focus on their work. 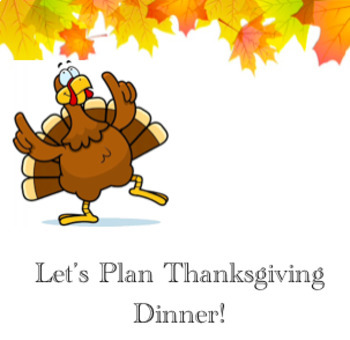 I decided to create a Thanksgiving themed math lesson. 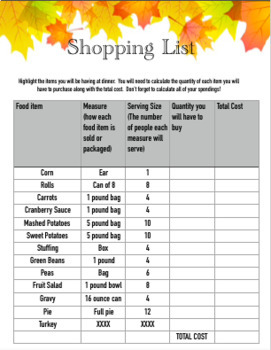 Students have to use mathematical concepts to plan for their thanksgiving dinner. Students practice multiplication with whole numbers and addition. One page includes practice with time concepts.